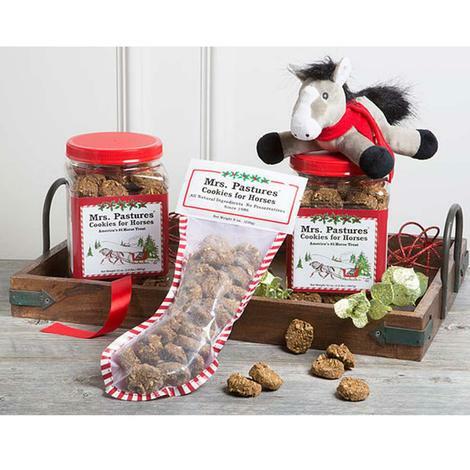 Perfect for the holiday season Mrs. Pastures horse cookies are made with all natural ingredients no preservatives. These cookies are dehydrated, not baked, so they are hard and crunchy and won't crumble in your pocket. Made with oats, wheat bran, cane molasses, rolled barley, fresh apples and water. 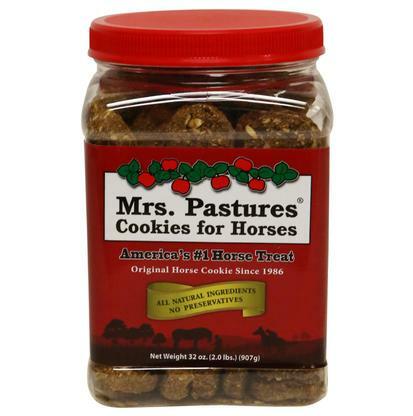 Mrs. Pastures cookies were chosen as the "Number One Horse Treat" by Michael Plumb's Horse Journal. These irresistible horse treats are made with all natural ingredients such as oats, wheat bran, cane molasses, rolled barley, fresh apples and water. These hard and crunchy treats are dehydrated (not baked) so they won't fall apart in your pocket. 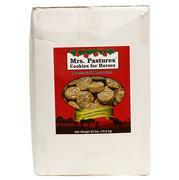 This 50 lb refill bag is perfect for refilling a previously purchased 35 lb bucket of Mrs. Pastures Cookies. Natural ingredients (no preservatives or additives). Dehydrated (won't crumble or break in pockets). 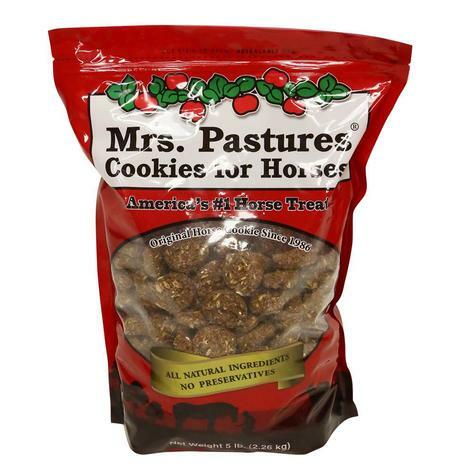 Mrs. Pastures cookies were chosen as the "Number One Horse Treat" by Michael Plumb's Horse Journal. These irresistible horse treats are made with all natural ingredients such as oats, wheat bran, cane molasses, rolled barley, fresh apples and water. These hard and crunchy treats are dehydrated (not baked) so they won't fall apart in your pocket. 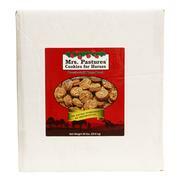 This 35 lb refill bag is perfect for refilling a previously purchased 35 lb bucket of Mrs. Pastures Cookies. 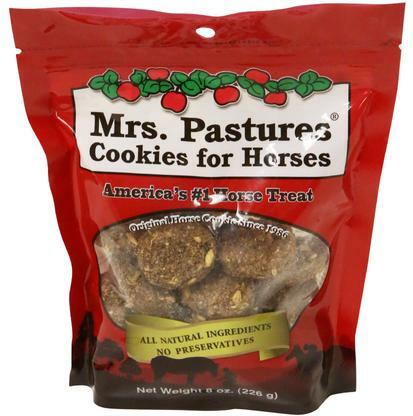 Mrs. Pastures cookies were chosen as the "Number One Horse Treat" by Michael Plumb's Horse Journal. These irresistible horse treats are made with all natural ingredients such as oats, wheat bran, cane molasses, rolled barley, fresh apples and water. These hard and crunchy treats are dehydrated (not baked) so they won't fall apart in your pocket. 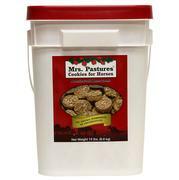 This 15 lb bucket can be reused and refilled by simply purchasing Mrs. Pastures Cookies refill bags. 15 lb reusable bucket (refill bags also available).